Second left - and then straight on until morning: that's the way to the magical place where Peter Pan lives, a land where no one ever grows up. Helped by fairy Tinkerbell, Wendy and her brothers fly off with Peter to Neverland. There, they meet the Lost Boys - and the terrifying Captain Hook and his band of pirates. 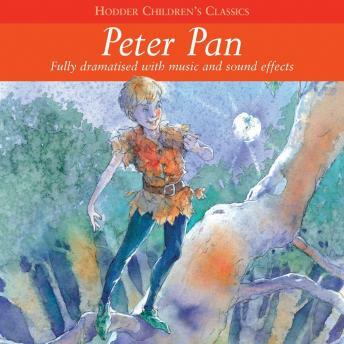 Classic stories brought to life for young listeners in dramatised readings with music and sound effects.